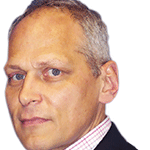 Generation X and pensions – the forgotten generation? You’d be forgiven for reading the headline of this blog and thinking – Generation X – sounds familiar but who are they again? Unlike their much-discussed counter parts (baby boomers and millennials), Gen X have, to some extent, managed to slide under the radar, and stay on the side-lines of the generational war raging on between the other two. Boomers, or so the argument goes, have lucked out – from the house price boom, the demutualisation and privatisation of much of the UK economy and as recipients of final salary pensions. And all this comes at the expense of the ‘poor’ millennials, who have been priced out of the housing market, missed out on privatisation and demutualisation and have to fund their own retirement. But where does that leave Gen X? Concerns have been raised that these individuals born between 1965 and 1984 are the forgotten generation, who may simply fall through the gaps of the pension system. The Independent Review of the State Pension Age pegged Gen X as those likely to suffer most from an increase in the state pension age. Most of them have missed the defined benefit (DB) pension era and are too early to benefit from a full career spent saving through auto-enrolment. Research has also found that over half (57%) of Gen X admit that they have no current plan of how they will finance their future. But the race is not yet run and for Gen Xers, time is still on their side. But, they need to start thinking about their retirement plans now. Gen X has undeniably experienced dramatic changes to their long terms savings due to the shifting pensions landscape over their working lives. They are also much closer to retirement age than millennials so they have less time to take action. So, if time is of the essence, what can they do? Firstly, they should understand where they currently stand with their pension savings, what this means for when they can retire, and how they can improve on what they have. Not only is Gen X facing uncertainty around what the state pension will be and at what age it is payable, it’s hard for them to understand whether they are on the right path with their savings. So it’s not surprising that many Gen Xers have little clarity around when they might be able to retire. 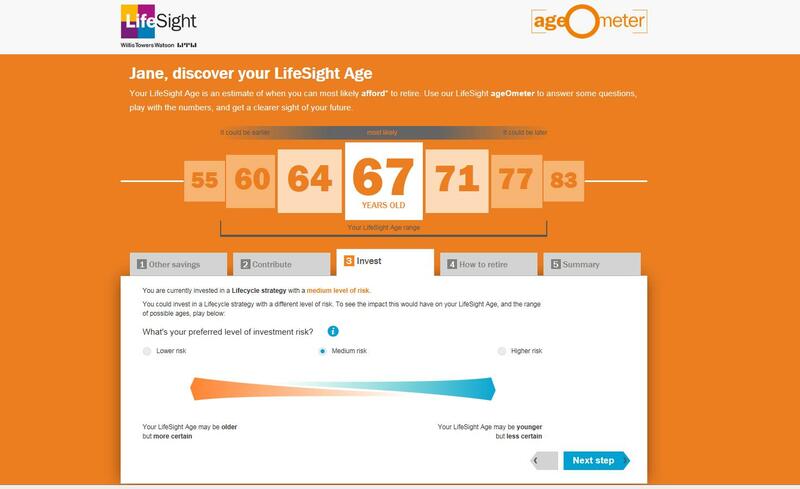 LifeSight, Willis Towers Watson’s master trust has an online tool for members, the ageOmeter which tackles this issue by helping members understand the age at which they can afford to retire and how they can influence this through simple contribution and investment decisions. Not only does this help them understand whether they are on track to reach their retirement goals, but also nudges them into action by demonstrating that it’s not too late to make a change that can impact the age at which they can retire. The good news is that it works for all generations too! Whilst they may not have enjoyed all the benefits that baby boomers had, there are plenty of reasons to celebrate being a Gen Xer (and I’m not even talking about having experienced the pure joy that was 80s music). Like their parents, many Gen Xers have benefitted from property price increases and have seen good progression and wage growth over their career. In light of this, it’s important that they understand how any additional assets could feed into their retirement plans. 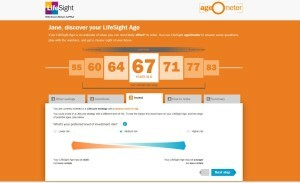 This is where the LifeSight ageOmeter, which allows members to include other personal savings or property they may want to put towards their retirement fund, comes in useful. Having all of this information in one place will help give a more complete picture of what an individual will have when they retire and thereby help them to make more appropriate investment and saving decisions and take control of their future. The fact that Gen Xers will likely retire later than those before them should not be seen as an entirely negative idea. With this generation redefining what it means to be old (60 is apparently the new 40), working longer not only becomes logical, but should be seen as an opportunity, with all those extra years of life as a gift. Alongside millennials, but unlike many boomers, Gen Xers are not confined to one job path. They have the opportunity to continue experimenting and reinventing themselves throughout their career, much like 80s icon and the mother of reinvention herself, Madonna! Let’s not forget the positive impact from working longer– better social engagement, improved health, as well as being able to continue building up your pension pot. Tools that enable people to get a better understanding of their current pension savings, and provide clarity over the changes that can be made to target a particular retirement age and income will help individuals plan their future. This is key for every generation but in light of recent changes to the pension’s landscape impacting Gen X’s savings and their relative proximity to retirement, it is especially important for this generation to be encouraged to engage with their pension now.